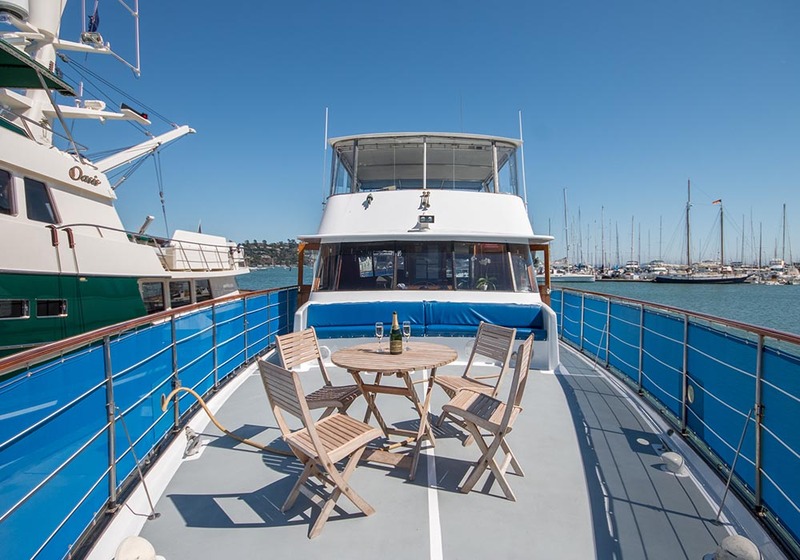 Dedicated to providing an excellent yachting experience cruising San Francisco's Bay , the M/V Five Stars yacht is a 75 foot US Coast Guard Certified vessel, and holds up to 50 passengers. 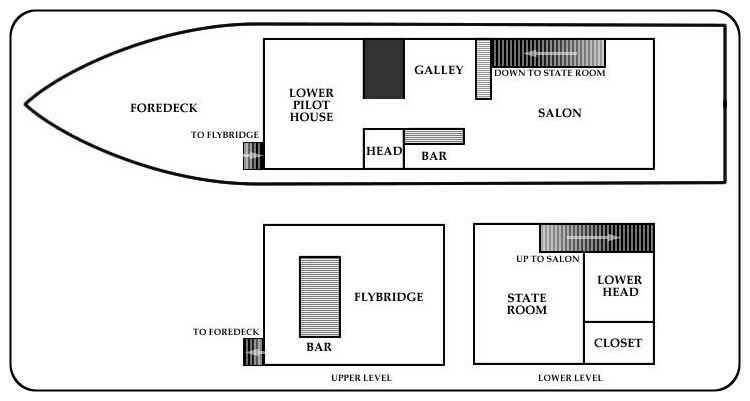 The Five Stars Yacht is available for "private charter", and "special event public cruises" throughout the year. 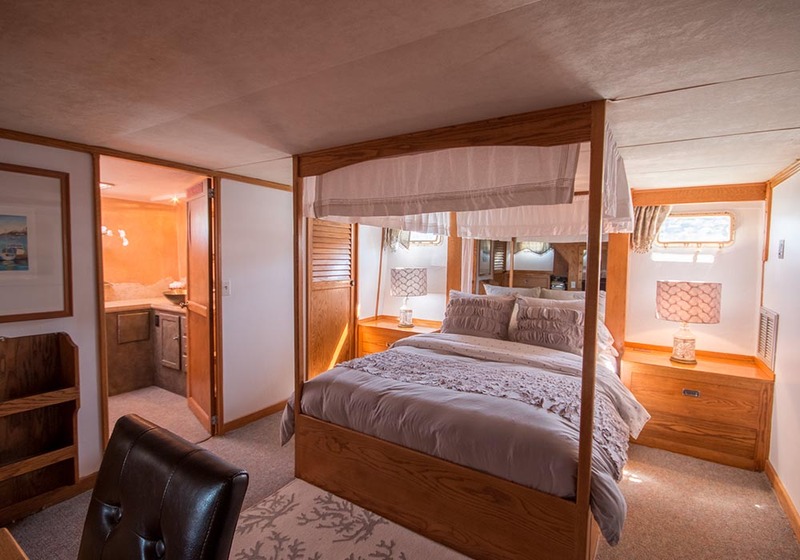 Five Stars Yacht is owned by John and Lisa Scopazzi. The bay was beautiful and the food and drinks made it the perfect wedding! 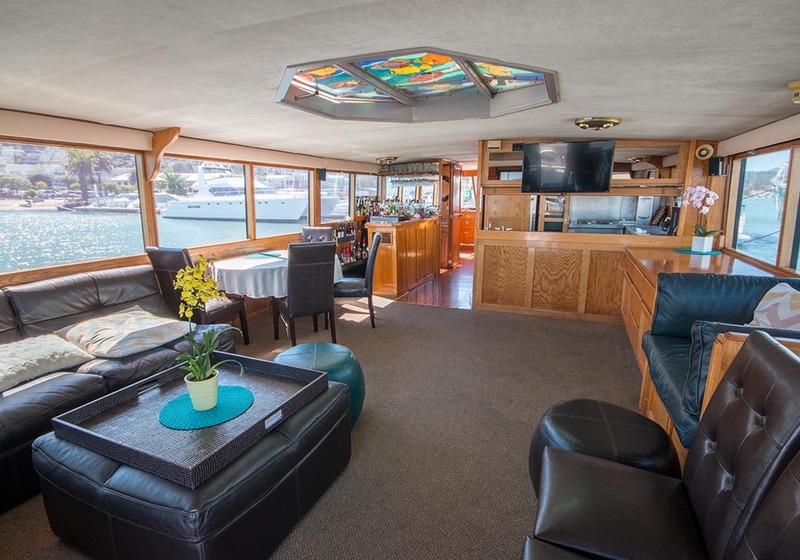 Whether you want to plan a special occasion or corporate team-building event on the waters of San Francisco Bay, we have the expertise to make your dream a reality. You Come First! Our guarantee is to provide a professional and efficient service, delivered with a warm welcome aboard! We pride ourselves on ensuring that each and every charter is smooth, successful and enjoyable. Please wear practical shoes... No high heels. The Main Salon is open and roomy with a leather furniture and a custom stained glass skylight above. 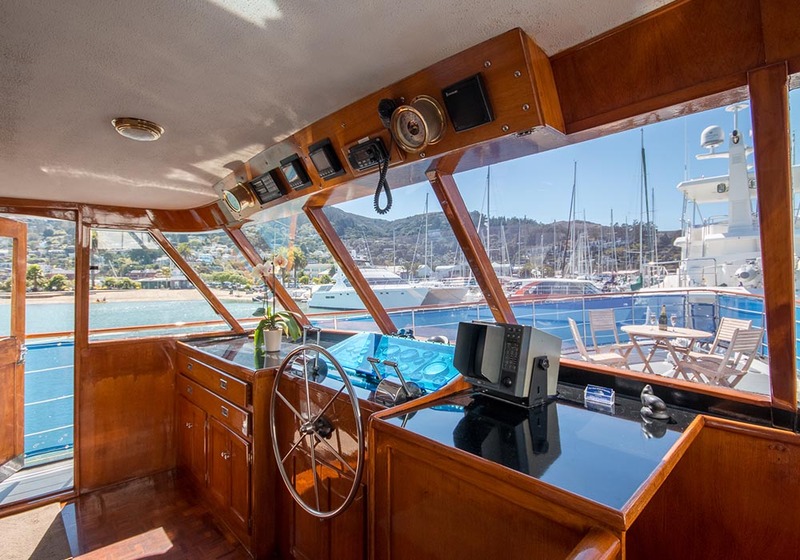 The sound system provides music for the whole yacht, and includes an ipod hookup, or CD player. We also have a flat-screen on board with Directv and DVD. Below the main salon is a master state room with full bath and a queen size four poster bed. The bath is newly remodeled with a stone slab counter and pewter sink.